I like surprises but I’m not good at letting myself be surprised. 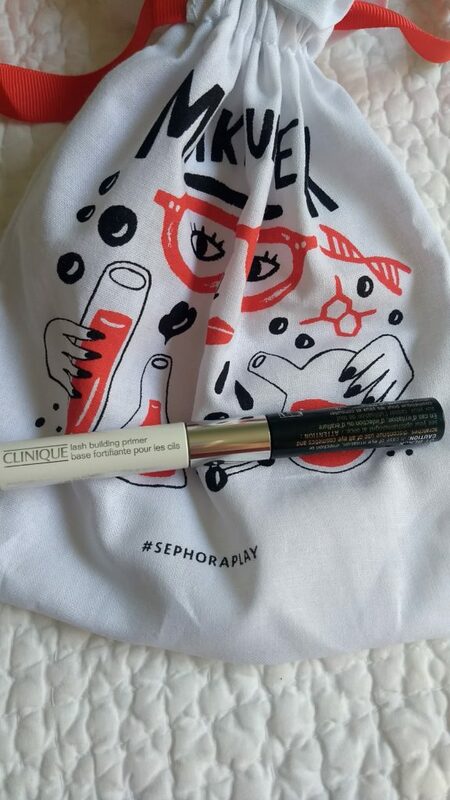 Case in point: my Sephora Play August Box. I could have avoided spoilers if I really wanted. It’s not like Sephora Play is the equivalent of Game of Thrones in terms of spoilers but I still checked the beauty box page and various Instagrams and spoiled it for myself. Knowing what I was getting in my box didn’t make me any less excited for the products inside. So let’s dive in. 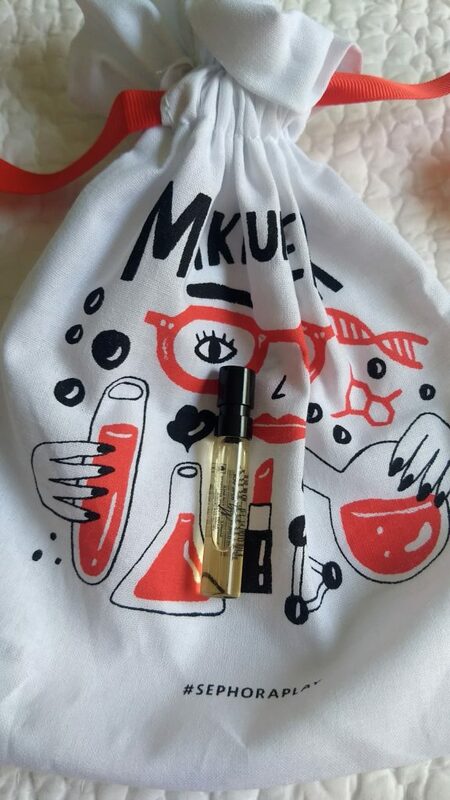 This perfume was definitely a step up from last months sample but it wasn’t a favorite either. The Burberry perfume smells nice but it’s overpowering. Even a small spritz lingers for hours, which is a plus when you like the perfume but when you’re only so-so about it not so much. This perfume smelled like grandma perfume, overly floral and sweet. In my pamphlet, the fragrance is described as a “seductive blend of jasmine, candied rose, and amber.” I like floral perfumes and I love the smell of jasmine (there’s a jasmine tree on my street that smells wonderful especially in the summer) but combined with the amber the scent is just not for me. I may be biased though because both my mom and grandma wear perfumes that smell similar to this one and for others, this may be a nice, floral scent. I have never used a brand name beauty-blender before but I was intrigued by this one. It is so tiny. I used this micro mini sponge to apply highlighter on my cheekbones and around my eyes. It got the job done, but you know what else gets the job done? My fingers! 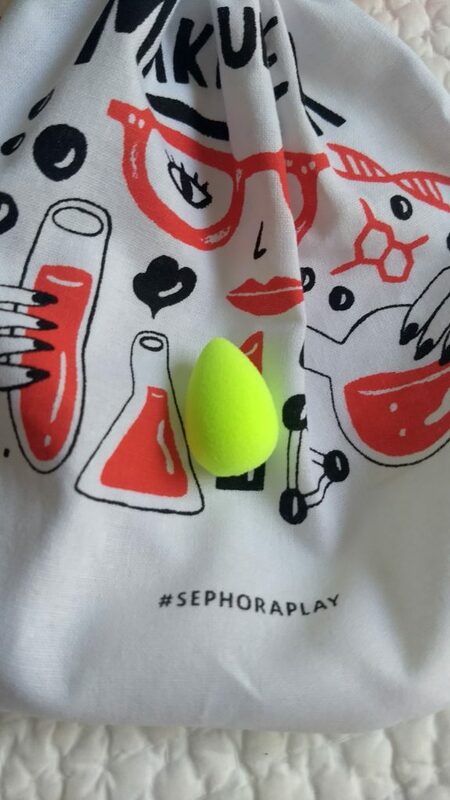 Another regularly sized beauty blender. I feel a little cheated getting this in my box. For me, it serves no purpose in my makeup routine. It’s $18 for a set of two and that seems way too much to pay for a sponge. Like I can get a 3-pack of regularly sized knock off beauty blenders for $8 at Tj Maxx. This box is supposed to be the innovators but I don’t know what’s innovating about a tiny sponge. Full disclaimer: I don’t blow-dry my hair. I take showers at night and let my hair dry. I do this mostly because I’m lazy and my morning routine takes so long already do I really want to add an extra set of steps? The answer is always no. 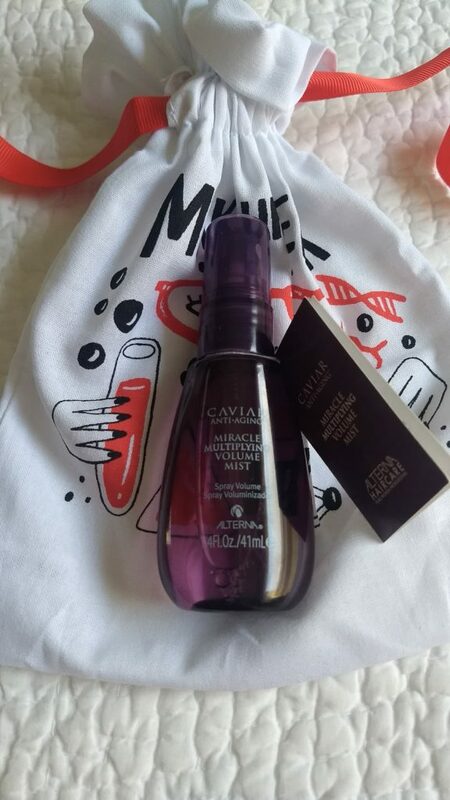 So when I got this Caviar Volume Mist and read the directions I was a little worried how I was going to use and review it. The directions advise drying your hair with a towel, spraying the mist and then blow drying. I did not follow those directions. I used this mist after I let my hair dry for a while, rubbed it into my hair with my fingers and then went to bed. In the morning my hair felt soft and when I brushed it out I noticed a little more volume than usual. Still, I don’t know if I like it enough to buy it. I’ll definitely keep it around for the rare times I do need to blow-dry my hair and report back. 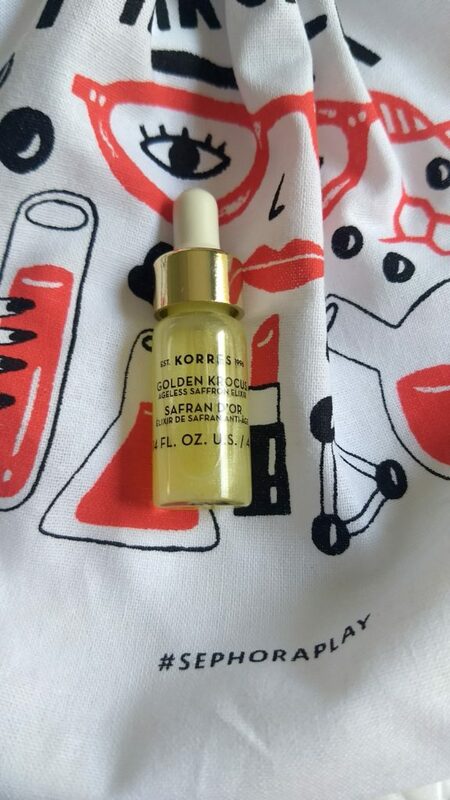 I was a little confused when I received this serum in my box. I have combination skin and that is listed on my Sephora profile. It also says I care about oiliness, pores, and dullness. Nowhere does it say I worry about signs of aging. Besides using retinol at night occasionally I don’t worry about wrinkles or lines, mainly because I’m 23. That being said I kind of like this elixir. It’s not too heavy or oily like many anti-aging products and has a nice consistency. I would not use this product every day but save it when I feel like my skin is particularly dry. When I tried this out I used my Beauty Water toner to prep my skin and followed up with my Clinique moisturizer. 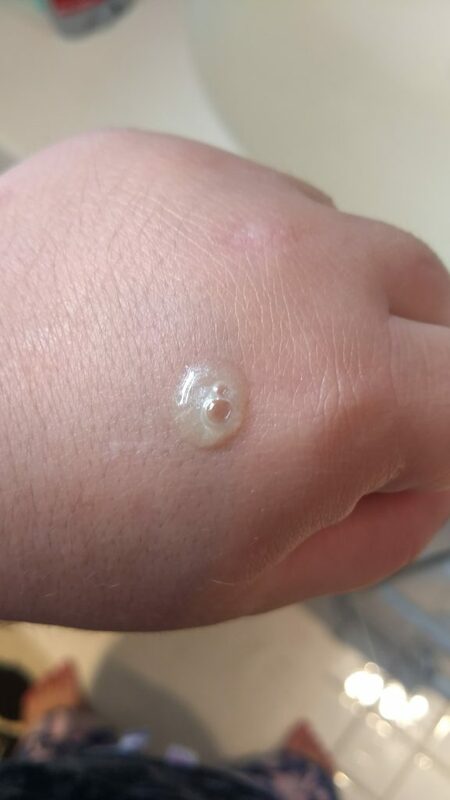 I also tried using the serum by itself with no prep or moisturizer after and it was a little sticky and hard to apply. I also find using it at night works better because it’s a little too heavy to use under makeup. The scent was particularly strong as well, it smelled like the crocus flower which smells like a more pungent version of eucalyptus (and not in a nice way like Noxema). I don’t mind a little bit of scent in my product but this was overpowering. I’ve used this serum twice now but have not seen any improvemaent in my skin, I haven’t seen any breakouts either which is good. I’ll keep using what’s left in my sample but $98 is a lot to pay for a serum that might not even work. This is my biggest issue with Sephora Play boxes because (no offense) mascara is not that exciting. I either get mascara or an eyeshadow stick in every box. Mascara is a staple beauty product, I’ve never met a fancy mascara that does something dramatically different from drugstore mascaras. This was the product I was least excited about and it really didn’t do much. The most exciting thing about this was the primer is included in the tube (normally they’re sold separately) but I didn’t notice a dramatic difference in my eyelashes or mascara longevity. The mascara was nice sure, but not $18 nice. This was the product I was most excited for. 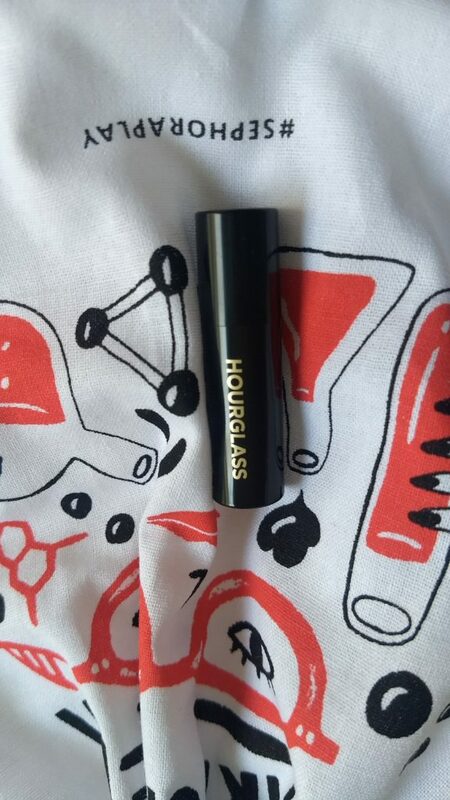 I’ve been wanting to try Hourglass foundation since high school and my face was oilier but the price point always put me off. 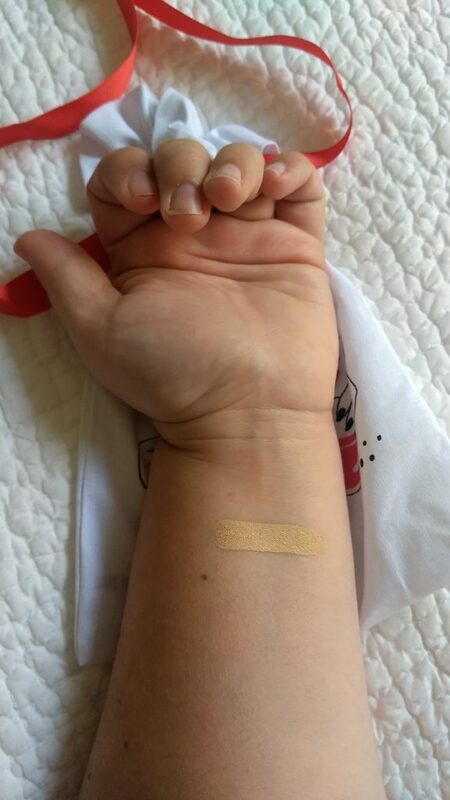 Getting a sample of the foundation was perfect and the shade actually matched my skin tone. It was a little weird using a foundation stick (I normally use a liquid foundation) especially because I don’t have a foundation brush and my (knock-off) beauty blender doesn’t work that well on a more cream-based foundation, but fingers get the job done. A little goes a long way and there’s a lot packed into this tiny tube. While the foundation is cream based it dries with a matte finish. It’s long lasting too and when I wore it the other day it didn’t crease around my nose or get that weird cakey look. I’m really into this foundation and next time I splurge on a makeup product I’ll be reaching for this brand. Overall, I thought this box was just meh and what really saved it from being terrible is the hourglass foundation. One thing positive I have to say about Sephora is that they really manage to cram a lot of product into super tiny packages which, job well done. Did anyone get anything cool in their box?